Come in for a cuppa and chat about your wedding venue decoration requirements – we love hearing your ideas and being creative! 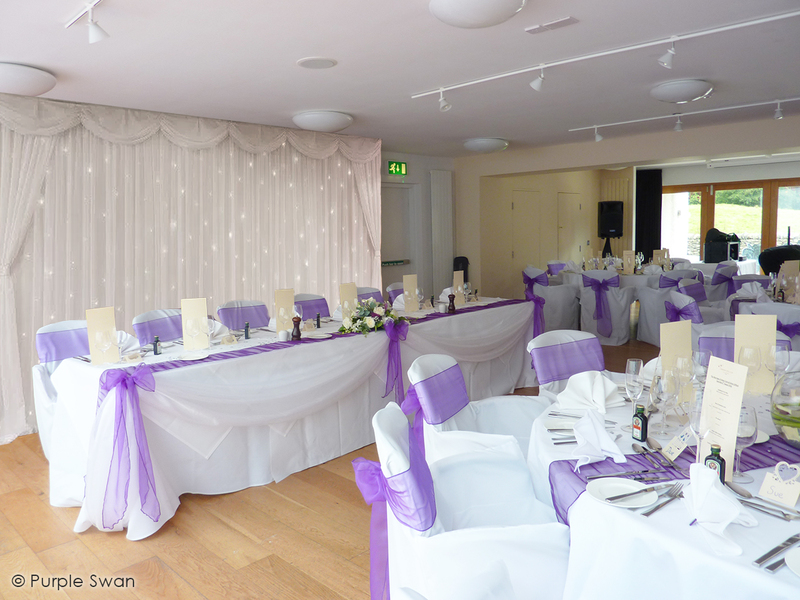 We’re often out and about setting up weddings, so are open by appointment only – please contact us to arrange a time. 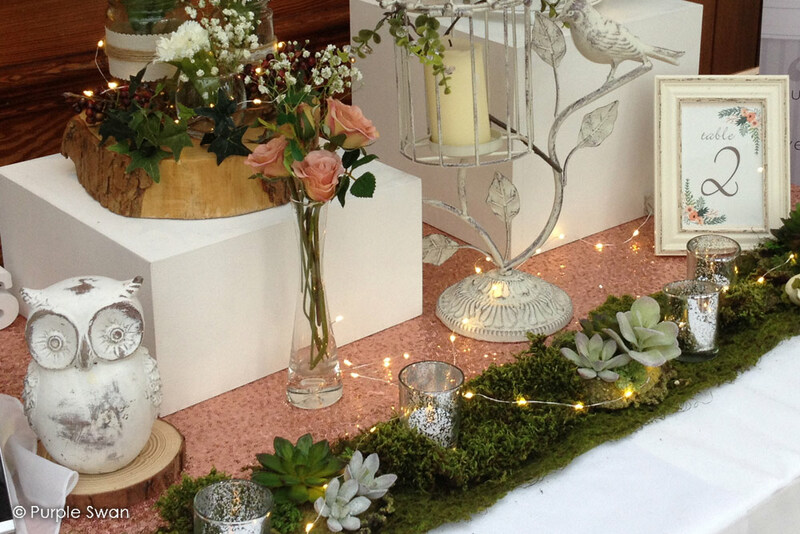 With so many stunning outdoor wedding locations in the Lake District, we offer beautiful ceremony and gazebo decorations to enhance the natural surroundings and create the wedding of your dreams! 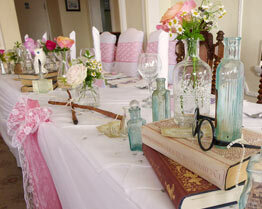 Creative bespoke wedding table decorations to suit any colour and theme. 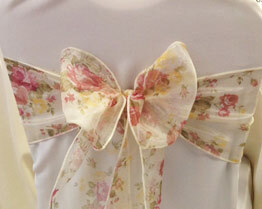 We specialise in creating something extra-special with exceptional attention to detail. Firstly, welcome to our website! 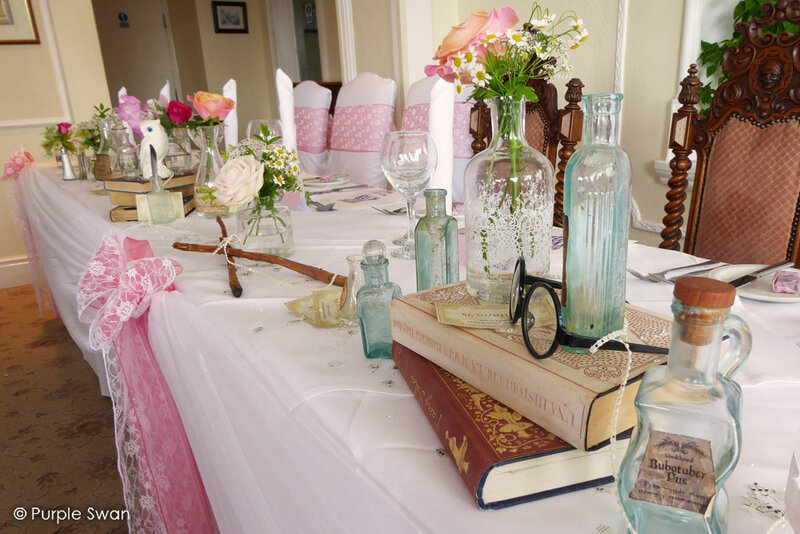 We are a creative venue styling and chair cover hire company based in Kendal, Cumbria, with a background in theatre and film set design. 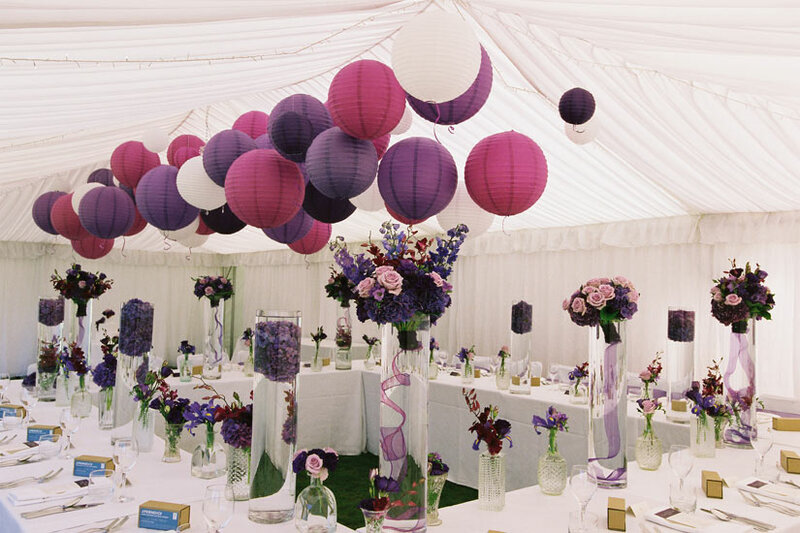 Established in 2009, we are passionate about our work and pride ourselves on providing top quality wedding decorations with excellent service, creative flair and exceptional attention to detail. Whether it’s wedding chair covers you’re after or the full design service, we look forward to working together with you to help create that magical moment when you look around your wedding room and every element is working in perfect harmony. 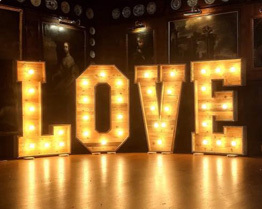 From giant LOVE letters, creative table centrepieces, gazebo decoration and starlight curtains to table plans, sweet buffets and much more, we can help you create your dream wedding! 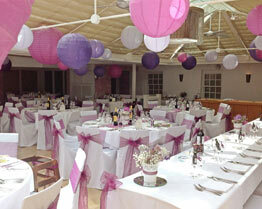 We know how important it is to have everything looking perfect for your wedding day. 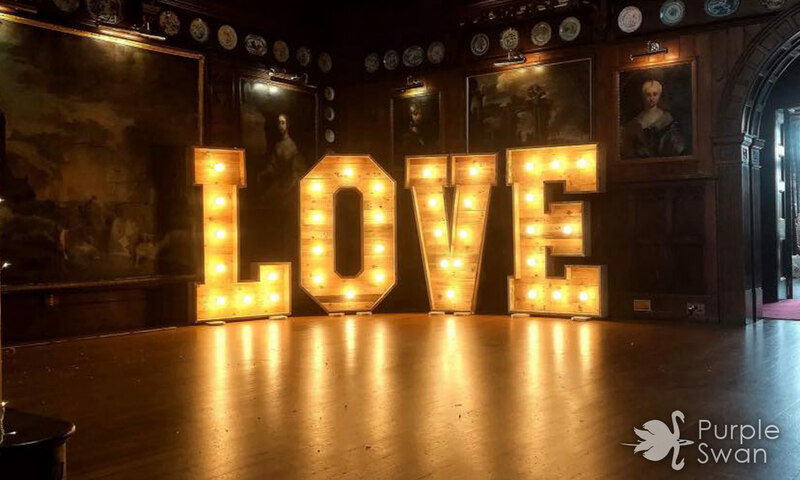 We promise to make your wedding venue look fantastic, but don’t just take our word for it – read some testimonials and reviews from our happy customers. Based in Kendal, Cumbria, we cover weddings in the The Lake District and Lancashire, including Windermere, Ambleside, Keswick, Kendal, Penrith, Grange-over-Sands, Newby Bridge, Carlisle, Lancaster and surrounding areas. We’d love to discuss your ideas – visit us at our wedding design studio in Kendal (by appointment only as we’re often out and about setting up weddings) or give us a call or email. We’re always happy to help! 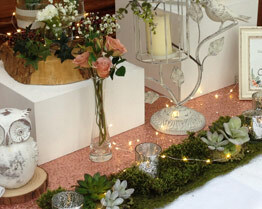 Our aim is to make the planning of your wedding as easy as possible, so we have designed our website with this in mind. To get a quote you can either browse our hire items and add to your quote as you go (purple tab on the right), or for a quick quote you can use our online form. We will provide a no obligation quote and leave you to make a decision on your preferred supplier in your own time, without any further emails or phonecalls. We will however be more than happy to discuss any aspect of your wedding design and chair covers quote, in a relaxed and efficient manner. If you have any questions just drop us an email or give us a bell. 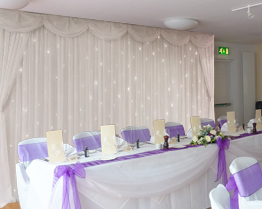 Spectacular top-of-the-range ivory backdrop with a range of light twinkle speeds and colours! Freestanding. Any width up to 9 metres. 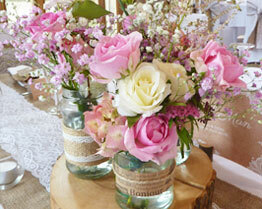 Centrepiece of 3 jars wrapped in hessian and lace with a mix of silk and real flowers. 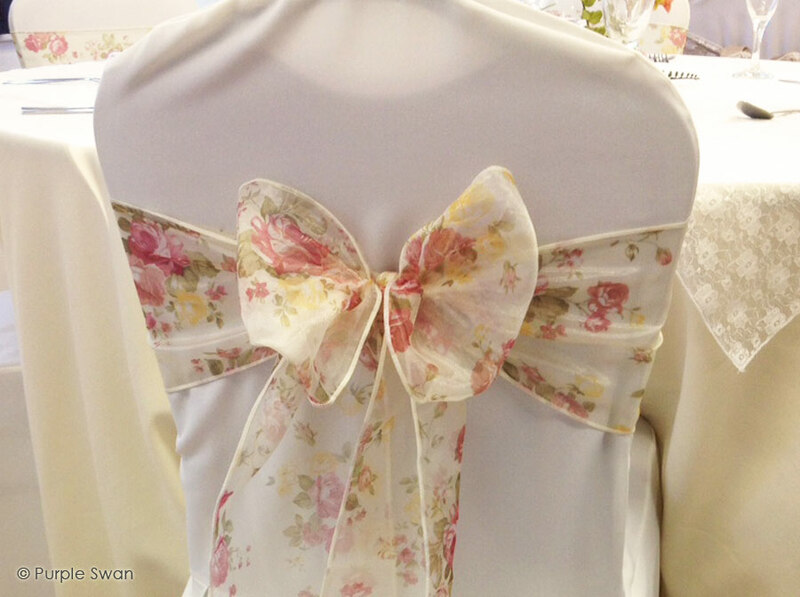 These sashes are so pretty and ideal for a country garden style wedding. 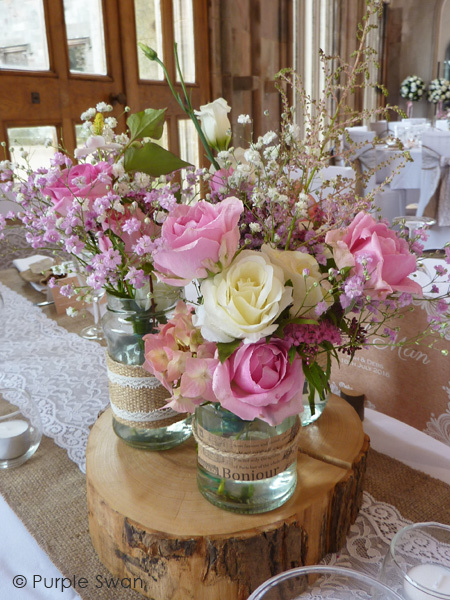 Working closely with you we can help design and create the wedding of your dreams!